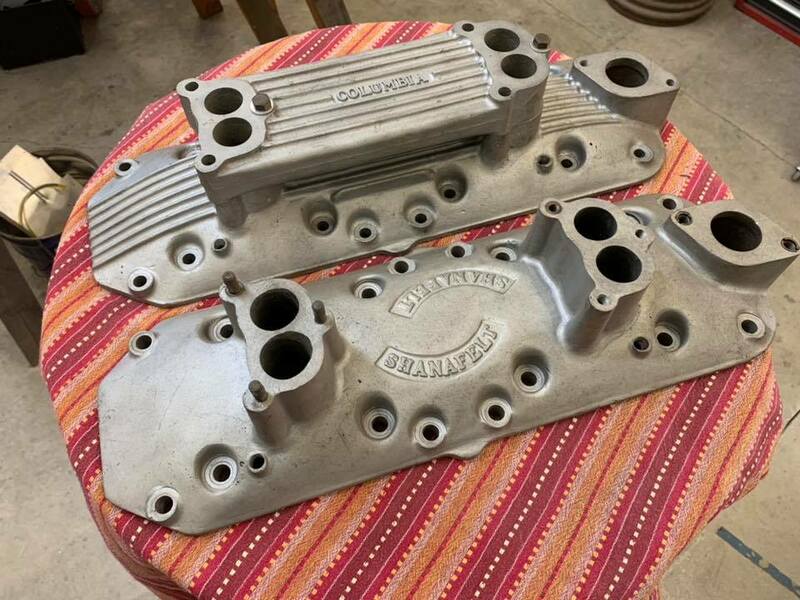 Emerson Payne from Portland Oregon, built one of the first A-V/8’s in the area, and cast some Dual Intake Manifolds for Flatheads. Last week his son in law, dropped by and furnished these pictures. 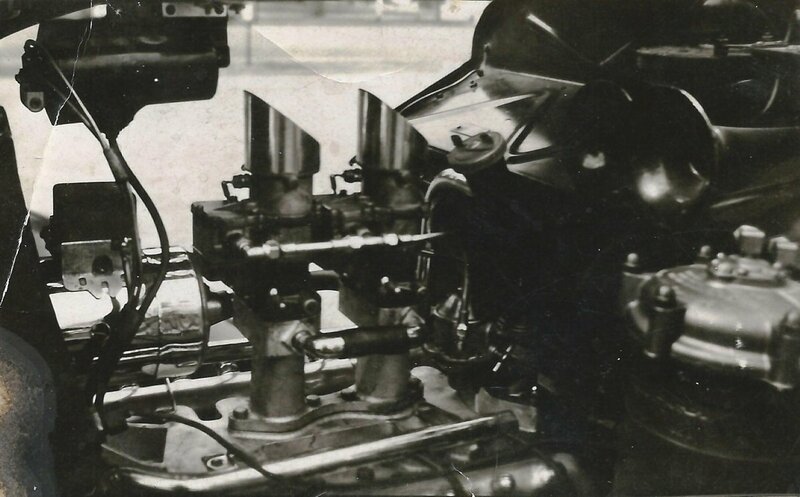 Emerson built 2 styles of manifolds, his own and the “Columbia”. 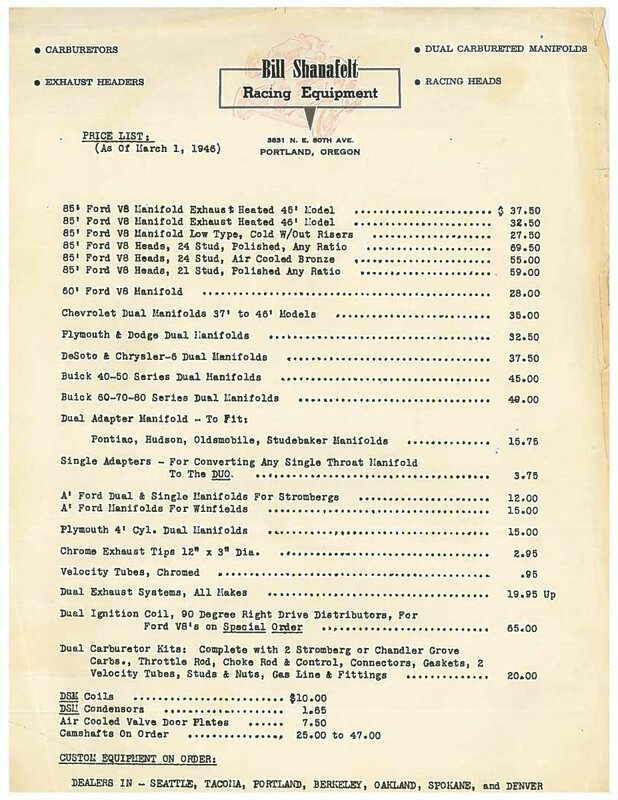 He was a friend of another Portland speed equipment manufacturer, Bill Shanafelt, check out Bill’s price sheet from 1946 ! Update: So after much review and digging I found out that Bill Shanafelt did intakes for a whole ton of dealers. But used the same basic design and just altered the top. Below are the ones I have found thus far. I will update as I find more of them. The intake shown on the top. It’s casting has been smoothed and was the foundation for his branding options which included adding a set of fins as shown below and also adding block text. 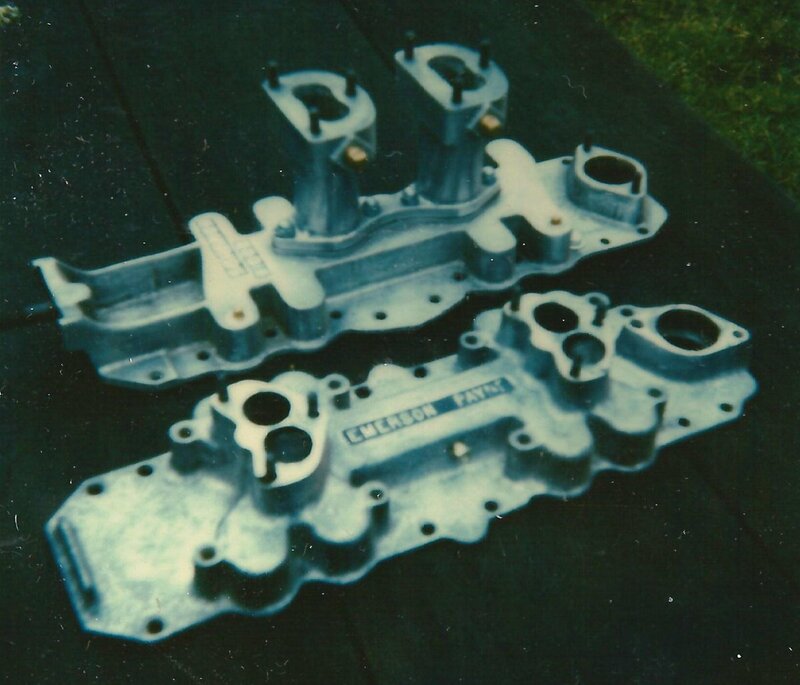 Shanafelt 2×2 Intake Manifold (Columbia) Status: Not Currently Reproduced. The intake shown on the bottom. It’s casting had a finned pattern that I have seen in other designs using the same casting. The intake shown on the top. It’s casting was at one point taken to the next level and a dog bone style riser was included was water heated. The intake shown on the bottom. 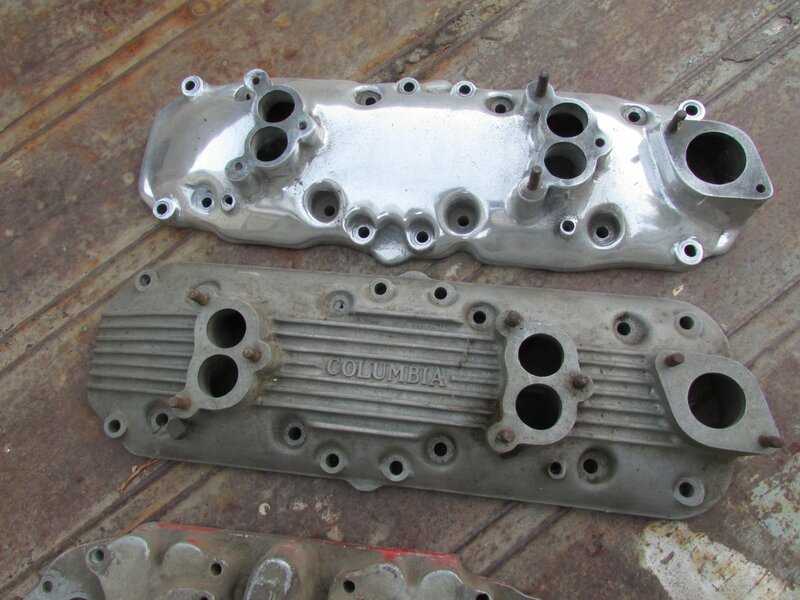 Shanafelt 2×2 Intake Manifold (Rocket) Status: Not Currently Reproduced. 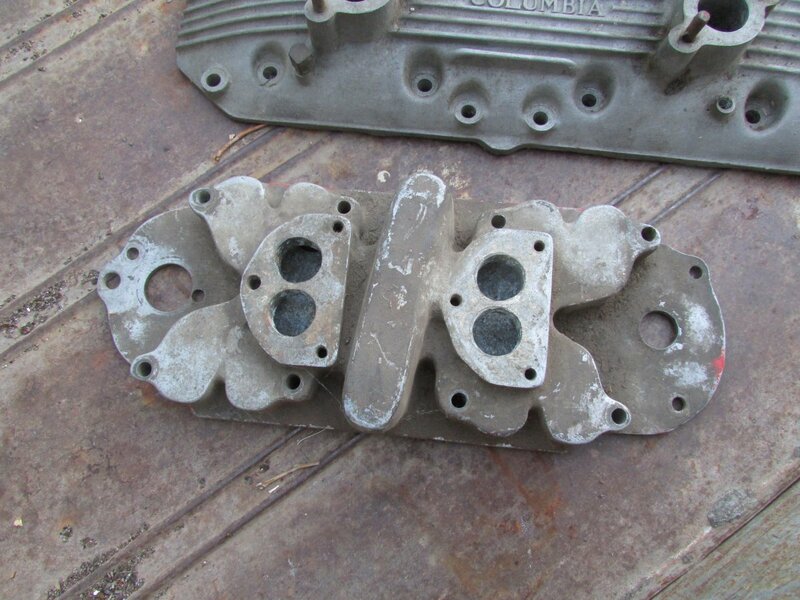 It’s casting had a finned pattern that I have seen in other designs using the same casting. This intake was branded for Emerson Payne but was still created by Bill Shanafelt. You might be asking yourself why is an Edmund intake here? This intakes information is kind of conflicting, but I’m going with what I think happen at the time based on the information I’ve found. Anyone with more information is welcome to come forward and set the record straight. 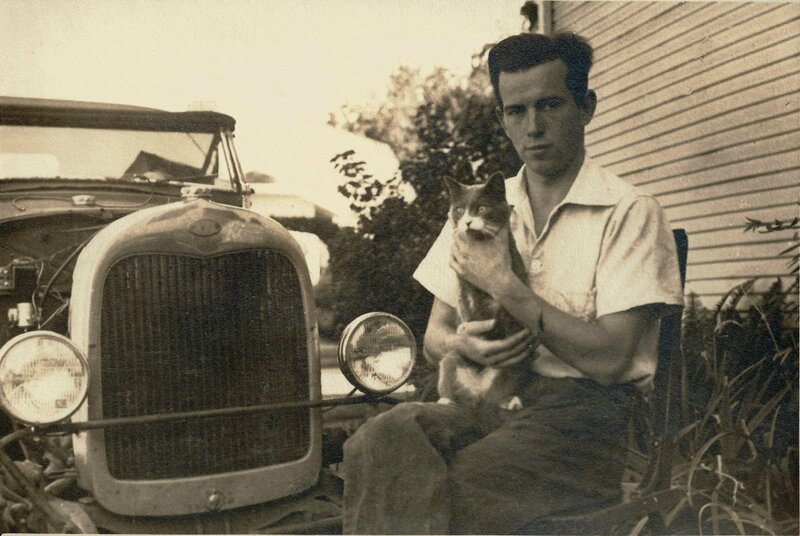 So, Eddie Edmund got his start in this industry working for Bill Shanafelt. 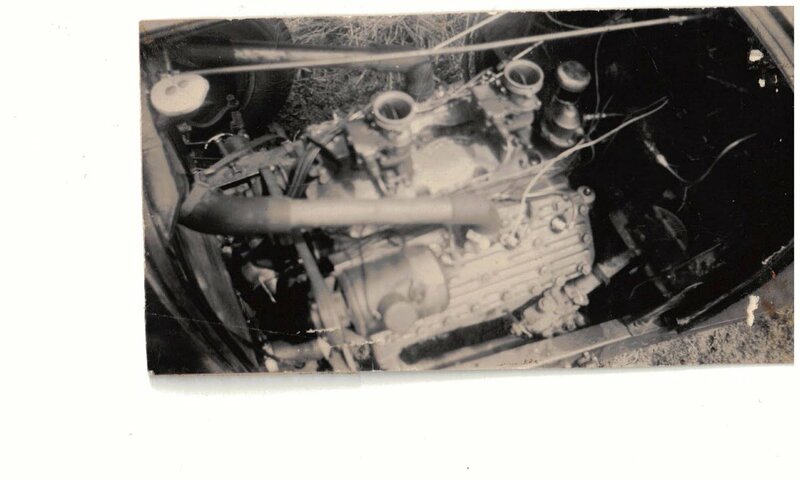 As Eddie got more experience with design, I think he designed this intake with the supervision of Bill Shanafelt. Bill from the evidence I can find produced intakes for several different companies. Same intake but different names. We have also seen this same trend with Fenton intakes showing with other company names. 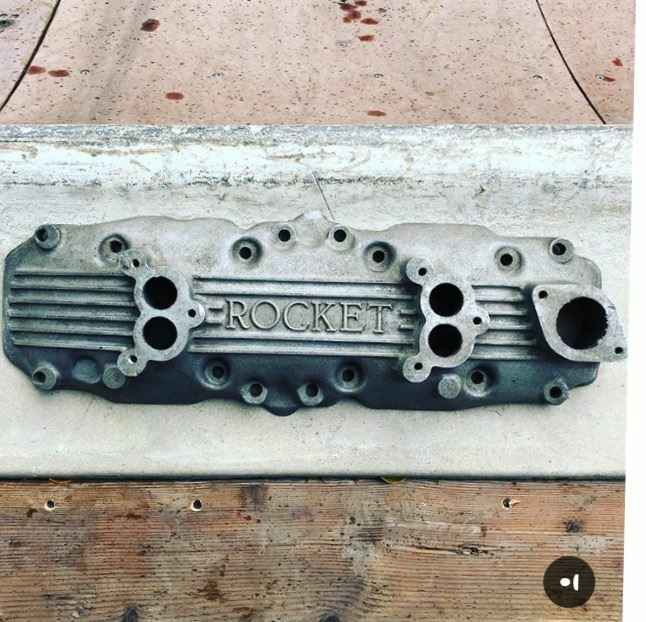 So, bill was no stranger to selling his design and casting someone elses brand name into it. So, if Eddie was looking to branch out or had the money to get his own thing going, there was no reason to not believe that Bill wouldn’t have put Eddies name on the casting. The image shows one of the first casts which happen before Eddie put his name in block letters into the casting. So, this follows the design style of Bill Shanafelt. I had to ask myself when doing the write up for Edmund a few months back, why was this the only Edmund intake I have ever been able to find that features his name as a casting? This might be why. 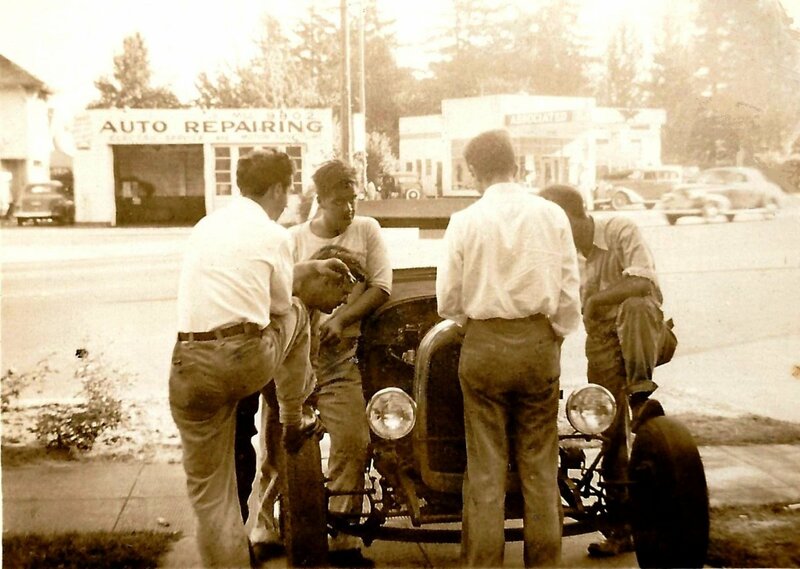 Later Eddie would move to California and start his own very successful shop. 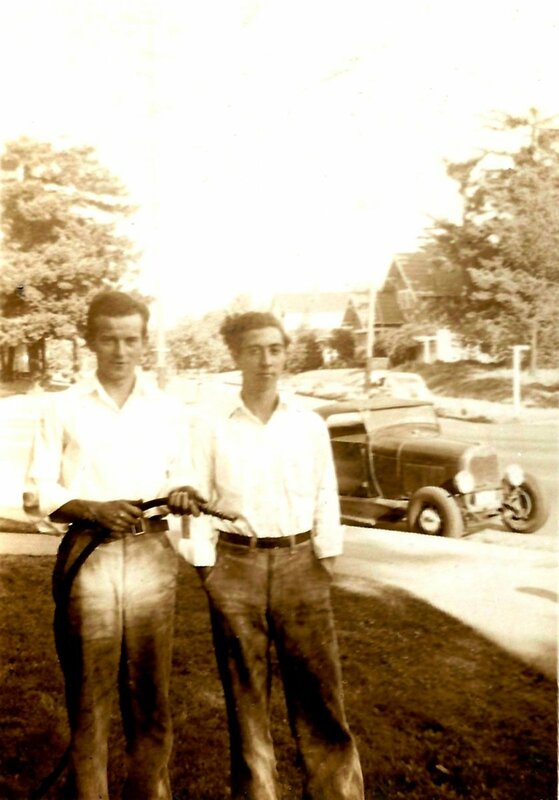 We all know that Eddie never cast his name into an intake like Bill. Eddie chose to brand his intakes with his name milling into it by hand which was kind of a cool marketing idea. 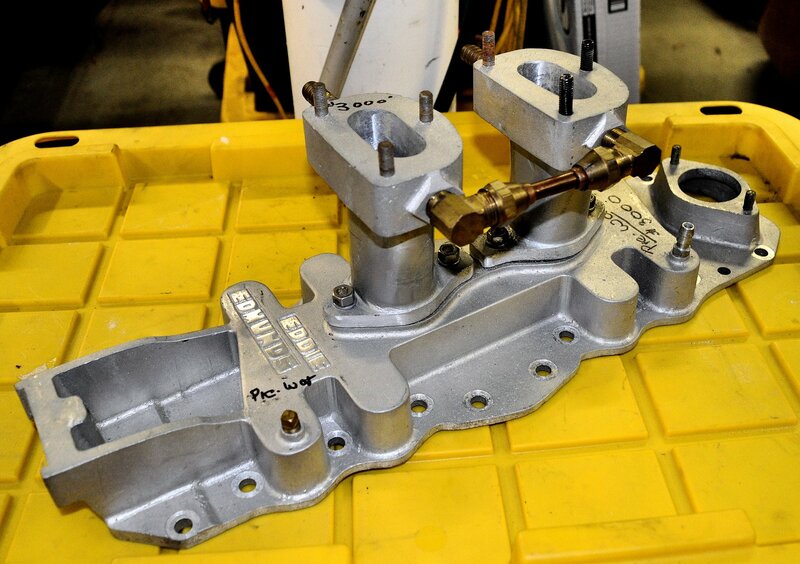 Shanafelt 2×2 Intake Manifold (Emerson Payne) Status: Not Currently Reproduced. This shows the two intakes together. Showing that the Edmund intake was closely based on the Emerson Payne. We know for sure that the Emerson intake was produced by Bill Shanafelt around the same time. 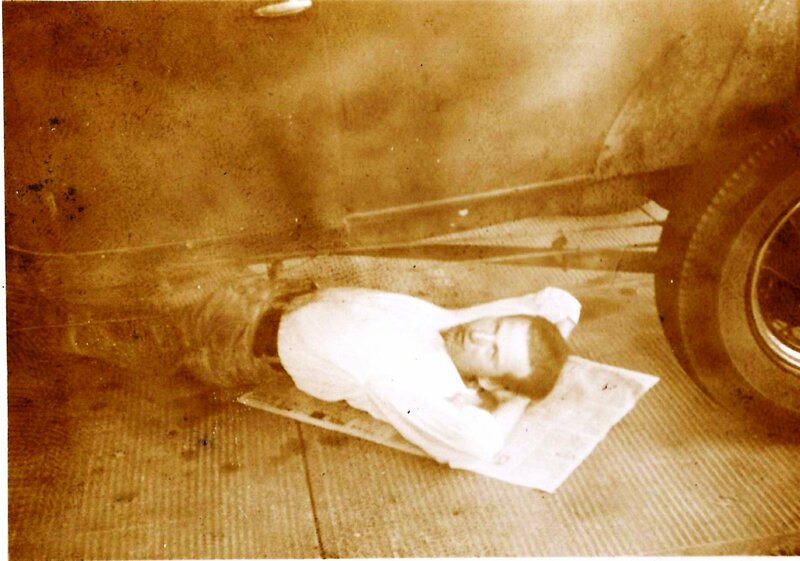 So it’s not a big leap to think that it might have a solid connection the the Eddie Edmond given that it was also the same time Edmund worked for Shanafelt.